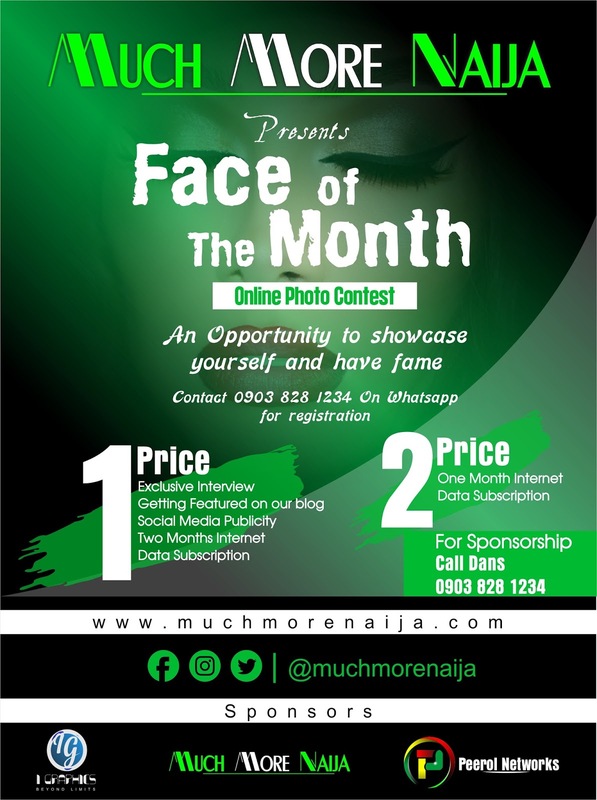 Much More Naija Face of March 2018!!! Voting will start by 12pm on Sunday the 25th and end by 6pm on Friday the 2nd of March 2018. 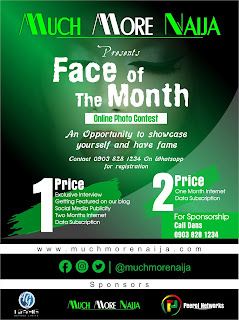 And the Contestant with the Highest Number of Votes will be our Face of the Month for March 2018. 2nd Prize: 1 Month Internet Data Subscription.